I just noticed a comment about "gamey" tactics and thought I'd solicit comments from anyone who cares to contribute on what tactics they consider "gamey" and why. I can't think of any off-hand that I find troubling, however something may come to mind as the discussion advances. I have more problems with things like objective hexes and the difference in points awarded for infantry, cavalry, and artillery attrition. Placing supply wagons in exposed forward positions, where they'll be more apt to attract defensive fire. Thank you, suh! Do you mean moving them in order to attract automated defensive fires, or simply leaving them exposed? (2) Using supply units to block line of sight; (I do this myself) Really? Hiding behind the pots and pans? The moral question is do you play the game to keep true to the conflict? Or, do you play to win any way you can within the rules? Hard to make a strict judgment one approach is right and the other is wrong - its just how you play. Pretty certain that you can melee a mtd cav unit if it is stacked with a unit on line. At least it shares the consequences. I don't consider slipping past an enemy flank and then attacking him from the rear as particularly "gamey"
"The gallant Pelham," an artillery leader, was killed at Kelly's Ford while participating in a cavalry charge. Your are right about Pelham at Kelly's Ford. It must be allowed because it did happen, albeit infrequently and with dire consequences. And then there's Jackson scouting ahead of his line of troops on the night he was shot...an exception to every rule. Stonewall Jackson didn't scout by himself. A squad was with him . . . and he got punished for breaking the norm--! Let that be a lesson, gamers! If you break the rules you get whacked, or at least lose an arm! I believe I read somewhere the leader issue is primarily to prevent replacement officers being used as throwaways since their value is practically nothing as are the benefits they provide. The replay issue has occurred for me in one instance, however I suppose you could argue that the "eye in the sky" able to see all and react immediately is almost gamey in itself. Even if a commander was able to view movements 70 hexes away (roughly 5 miles away), how long would it have taken to dispatch a rider to warn his forces? It would be interesting to not have such a god-like ability to react, however not sure how that could be simulated. I haven't used supply to screen movements, however did have a MP battle that had gone to hell badly in HPS Gettysburg "Struggle for Control". Started ditching supply wagons (had a million of them) behind our units as they tried to run to slow down the inevitable, but in the end didn't change anything. Surprised noone has mentioned melee in column or night fighting. In playtesting Overland, melee in column was an accepted tactic. I do not recall that anyone took issue with it, ever. At the very least, it should be allowed after May 10, the date of Upton's famous assault, when attacking fortifications. We were having issues with house rules for night combat in a Gettysburg MP game. Finally came down to "no house rules" for night combat. Everything goes. There was confusion on when combat would be allowed, such as whether firing voluntarily under any circumstances against adjacent units would be permitted. 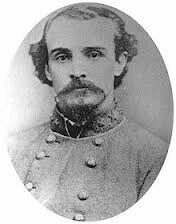 Did I ever tell ya about the time I caught Albert Sydney Johnson within three hexes of Pittsburg Landing early in the battle of Shiloh. Replacement officers? Some don't even make that distinction. I sometimes used to the following myself, but after giving it some thought I stopped doing it, and try to persuade opponents not to do it either. Building breastworks on hexsides that already have fortifications (embankments) to add to the defensive combat modifiers for the hexside, thus pushing the strength of fortifications way beyond the level envisaged by the scenario designers. In some cases you can boost the modifiers to the point where defenders are immune to fire combat. It is unrealistic to think that troops are capable of substantially improving upon fortifications in as little as 20 minutes, and in the heat of battle and, in my opinion, it is an abuse of the game's breastwork building function. So it is a set piece of time. It is not like building breastworks, where you never know when they'll get it done. Sometimes units dig for a whole scenario and never complete a hexside, as y'all know. Also kind of a hokey provision which should have a predictable time for completion. There are a number of problems with allowing column infantry melee. One of the major problems is the HPS column is really road column not assault column as Upton used which is usually an attack in column of companies. The fire penalty in HPS for being in column is appropriate for a strung out column of fours but not for a mass target that the 20 file depth of an assault column would present. Upton succeeded not because of the formation but because of fog. To properly simulate a column like Upton used the game would need to use fire penalties about 3 to 4 times larger for rifle and on the order of ten times for artillery. Upton succeeded because he was able to close before the defender could fire. Otherwise the result would have looked more like Cold Harbor than a success. The tactic failed later when not combined with night and/or fog. Because the game doesn't make a distinction between Assault Column and Road Column the player can use the ability of column units to move using road/trail bonuses to increase their reach through terrain like woods to 12 hexes instead of 2 or 3. The embedded melee stopped the worst of this Panzer Blitz tactics but it still allows a tactical reach they should never have. The third problem I have with it is that in combination with Turn Play's poor AI defensive fire it becomes the primary formation for assault. I have seen games using Column melee where entire Corps never left column formation. The benefit of fast movement along the road net more than compensated the light casualties taken from defensive fire. The battle degenerates into a battle fought entirely by column melees. The faster movement rates allow the attacker to find and concentrate against weaker units with speeds that no Civil War battlefield ever saw. Which leads me to what I consider the biggest problem from my point of view as a historical gamer. I want the game to reflect as best it can actual tactics used during the Civil War. Column assault was used during the Napoleonic period but for different reasons. During the Civil War other than a few unique instances like Upton's attack it was never used. Instance of CW formations using Column of Company or Column of Division to actually approach enemy positions is extremely rare. These formations were used to bring up troops that were not exposed to fire. Once close enough to be engaged they spread out into line type formations. All I was saying is that the situation that seems to have caused a lot of grief in the club was not even addressed in playtesting, even though most all of the testers were also members, which I was not. You can ask them why they never brought it up. I'm not debating. The column was designed to be dual purpose in the games. That became obvious to me when I meleed an enemy column from the rear and was defeated with heavy loss. I had expected they would all run like chickens. WTF! was my reaction.